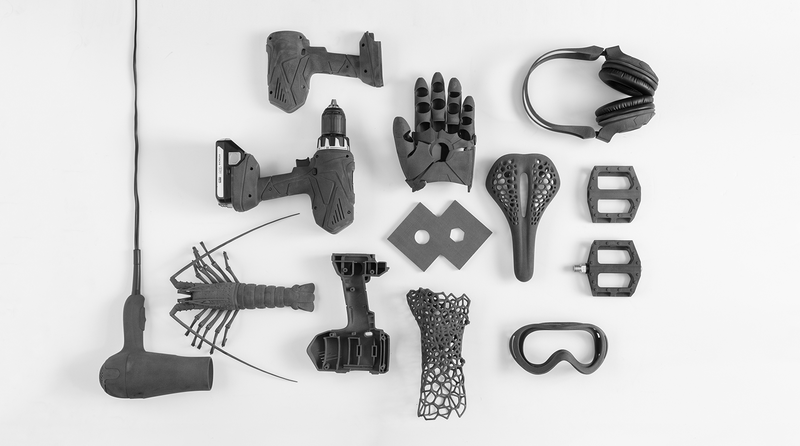 The equipment necessary to create has become so large scale and expensive that it&rsquo;s concentrated the ability to manufacture in fewer and fewer hands. It’s time to make a change. How can we bring humans back to the manufacturing process to make the things we actually need, closer to the spaces where they’re designed? How can we make the prohibitively expensive technology used for high-fidelity prototyping and end-use production available to a wider segment of society? Introducing the Fuse 1: The industrial power of selective laser sintering on your benchtop. SLS is already a popular 3D printing technology today, used to print a range of items like spare truck parts and custom clothing. Nylon is loved by engineers for its strong, flexible properties. The SLS process itself has some great benefits, too. Parts are suspended in a bed of powder as they print, so prints don’t require any supports, which opens up broad possibilities for complex, intricate parts. With Fuse 1, you can print with up to 50 percent recycled powder, which helps bring cost per part down. Introducing Form Cell: Production automation for stereolithography (SLA) 3D printing, powered by the Form 2. Form Cell is a scaleable cell of 3D printers that parallelizes and automates repetitive 3D printing processes, enabling a true 24-hour digital factory. Manufacturing has made massive strides since the Industrial Revolution. We’ve seen incredible improvements in efficiency, and technological advancements have opened up new possibilities beyond barriers and across borders. But with these shifts, the equipment necessary to create has become so large scale and expensive that it's concentrated the ability to manufacture in fewer and fewer hands. With the introduction of the Fuse 1 and Form Cell, we’re expanding Formlabs’ reach into manufacturing&ndash;and to continue expanding access to professional and industrial technology to a broader range of businesses, just like we did for stereolithography with the Form 2.